UDAYA establishes the levels, patterns and trends in the situation of younger (10-14) and older (15-19) adolescents in two Indian states. 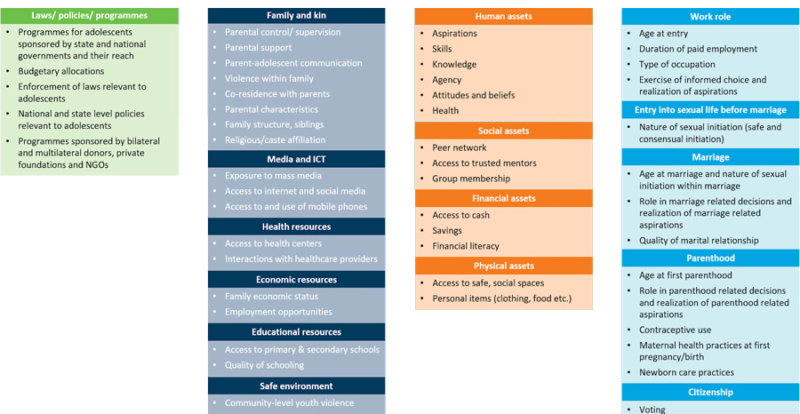 UDAYA provides robust insights on how and where to make investments in adolescents to influence their life course by the time they reach young adulthood and beyond. 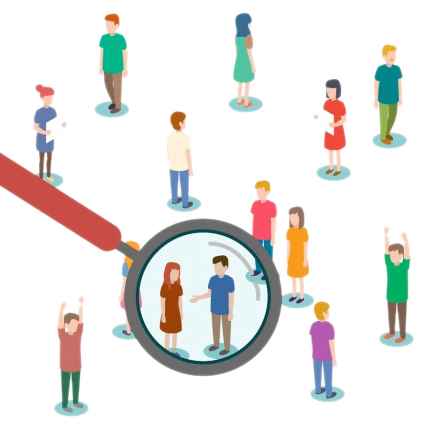 UDAYA will help organizations – government, bilateral, multilateral, private and non-profit – develop a better understanding of the transitions that the country‘s adolescents are making to adulthood. UDAYA profiles multiple facets of adolescents’ lives, such as numeracy and literacy skills, health status and aspirations for the future. 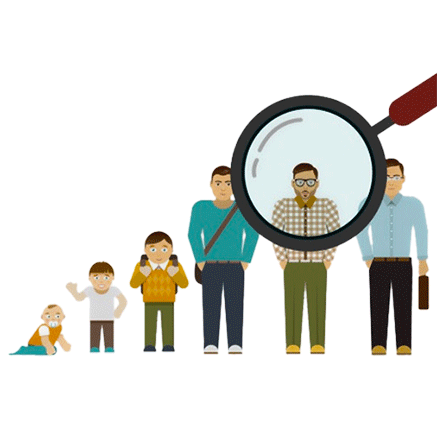 UDAYA uses cross-sectional and longitudinal surveys to shed light on the factors that determine successful transitions to adulthood. UDAYA provides state-representative evidence on the situation of young adolescents for the first time in Bihar and Uttar Pradesh. 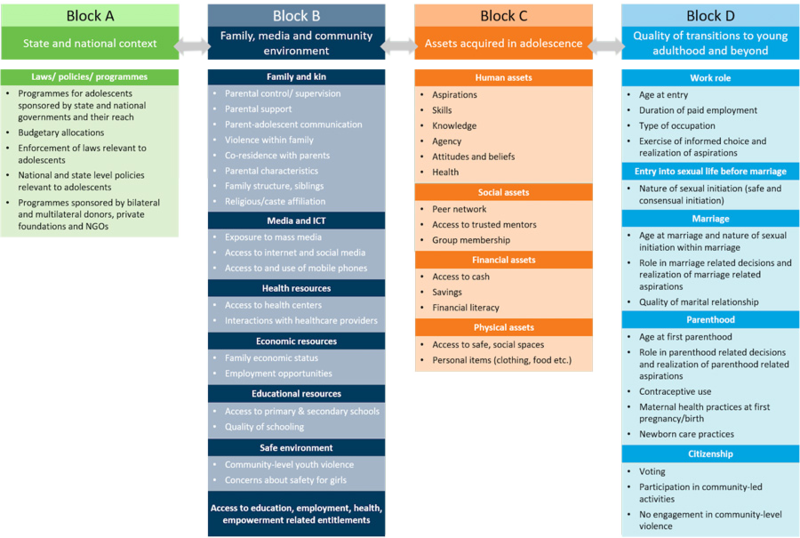 UDAYA utilized a conceptual framework to define a set of assets that help ensure a healthy, safe and successful transition from adolescence to young adulthood. This theoretical framework draws on the transitions to adulthood framework (National Research Council [NRC] and Institute of Medicine [IOM], 2005) and the asset-building framework (Sebstad and Bruce, 2004; Bruce, Temin, and Hallman, 2012). The UDAYA design was guided by a Technical Advisory Committee comprised of representatives from the Ministry of Health and Family Welfare, Government of India, leading NGOs working with adolescents in India and academic institutions. UDAYA interviewed a sample of unmarried girls and boys aged 10-14 and 15-19, and married girls in ages 15-19 in 2015 in both Bihar and Uttar Pradesh. In 2015, UDAYA had re-interviewed a sample of unmarried girls and boys and married girls in ages 15-19, who, in 2007, were interviewed as part of the original Youth Study in Bihar. In 2018, UDAYA re-interviewed a sample of unmarried girls and boys in ages 10-14 and 15-19 and married girls in ages 15-19 in Bihar and UP, who were earlier interviewed in 2015. A family foundation guided by the enduring business philosophy and personal values of Lucile and David Packard, the Packard Foundation supports leaders and institutions working on issues ranging from conservation and climate change to health and education. By empowering farmers, supporting local communities and investing in the next generation of scientists and engineers, the foundation seeks to create a more sustainable and knowledgeable world. The foundation is led by a Board of Trustees and is headquartered in San Francisco in a net zero energy and LEED® Platinum building that reflects the values it supports. 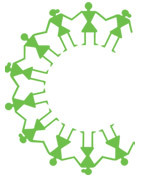 The UDAYA logo has ten human forms holding hands and standing in a circle. Each human form represents one year of adolescence, from age 10 to age 19. There are five males and five females in the logo, which represents UDAYA’s commitment to gender equality. The holding of hands represents the seamless transition to adulthood. The logo’s circle form represents UDAYA’s study design, where the research was across many aspects of adolescent lives and is representative of all adolescents in Bihar and Uttar Pradesh.